Neapolitan double scoop ice cream cone earrings. 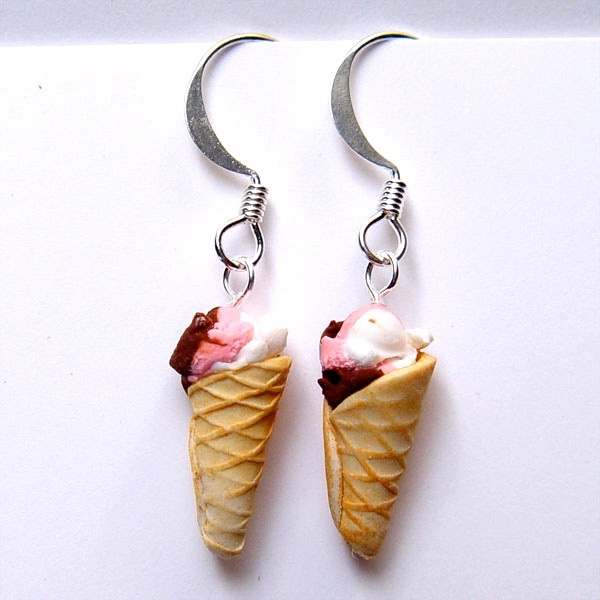 These are handcrafted ice cream cones made from polymer clay and are 5/8" long. The cone has a raised texture on the outside making it look very realistic and old-fashioned style. The ice cream looks good enough to eat! They come on silver plated shepherds hook earrings.